This table was helpful for us, but many staff felt that we already did these activities and in some cases could provide examples of partner roles that exceeded those in the table. This latter quote is the core for us to focus on. How is co-teaching actually benefitting the students more than what they would learn taking their classes with 1 teacher? In our 20 minute Kitchen Table this morning we started with the 2 quotes above and then worked in groups to write up practices that teachers could do to support each other. Making our own list like in the table above. This list and the photos from our last session have been put up in the staffroom for us to look over and think about. Staff have been given a few days to think about the top 5 coteaching activities that add value for student learning and sign beside them. 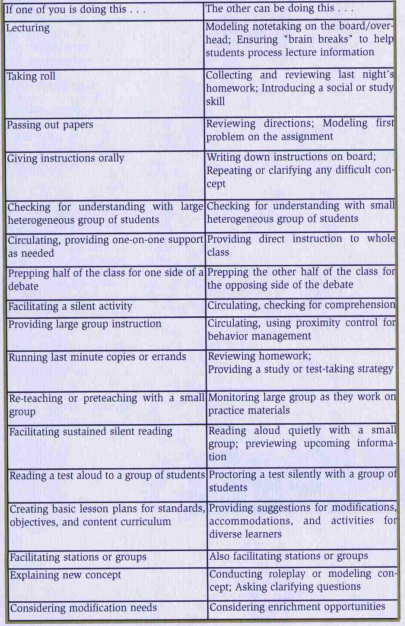 This will help us to create a best practice list – essentially what we see as Co-Teaching HPSS Style. 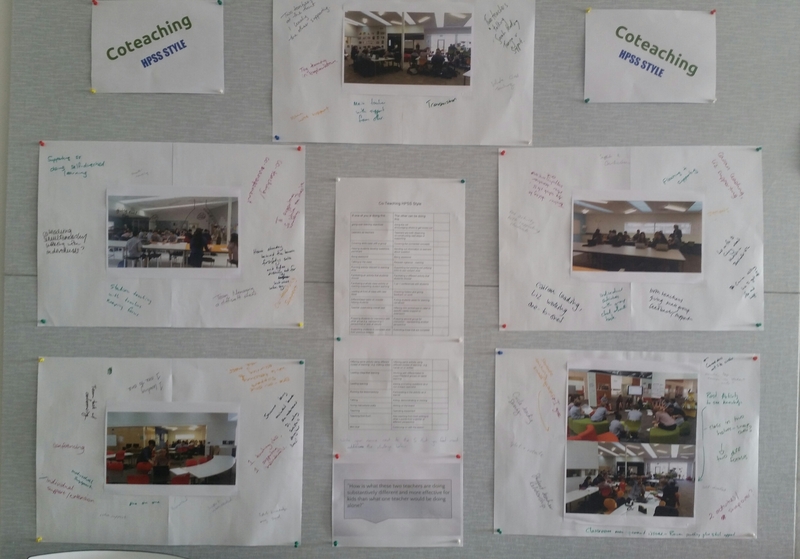 This entry was posted in Uncategorized and tagged co-teaching, coteaching, effective pedagogy, Hobsonville Point Secondary School, mle, mlp, pedagogy, strategies, Wendy Murawski by stevemouldey. Bookmark the permalink. Great stuff HPSS, really great to see you exploring the power of collaboration and the power of “more than one”.